32' x 24' x 15' and 50' x 40' x 25'. 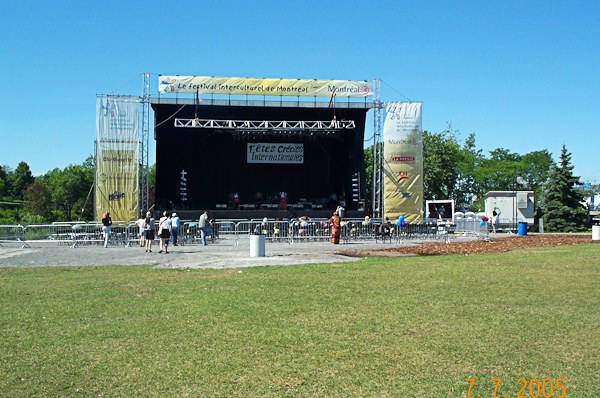 We also have additional decking to customize stages to your specifications and requirements. 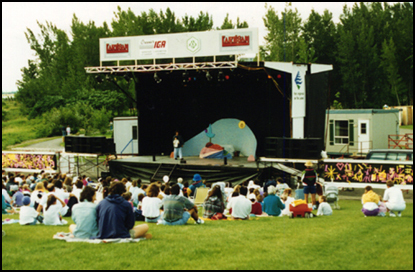 Whatever your Mobile staging needs may be: an outdoor show, a festival, a series of events, a national tour, a sporting event, marathon or even a corporate show, 3L also offers a complete package with our mobile stages which include professional audio, lighting and backline. 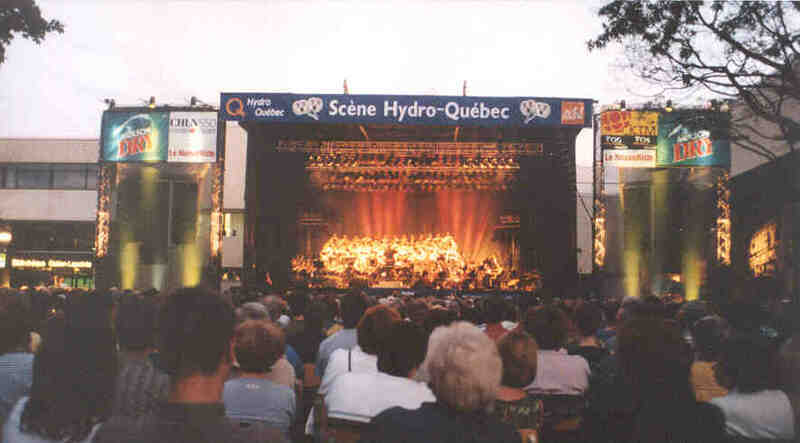 Whether it is a rock, pop, country or seasonal concert, from a one-off event to a national, from a small musical ensemble to a symphonic orchestra, or even a mobile cinema or a street theater - 3L Sound & Lighting has a solution to help you turn your event into a success story. 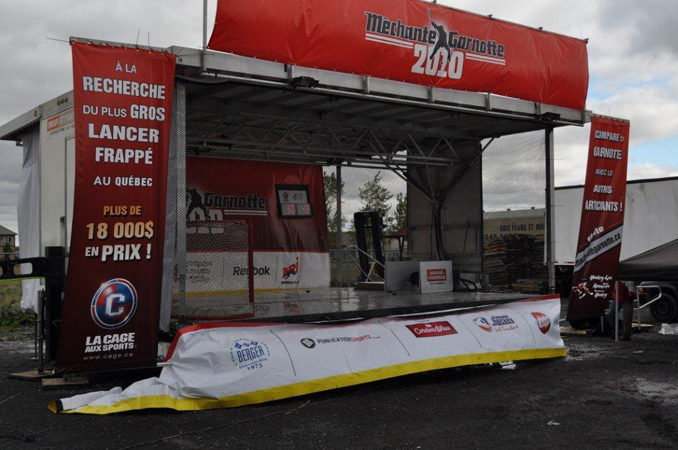 If you need a mobile stage, we have it !!! 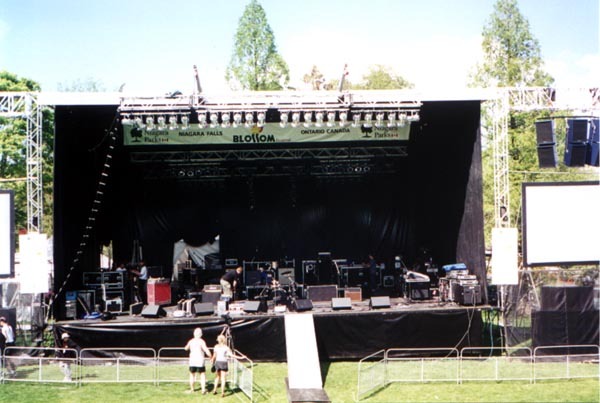 Should you require additional services with your mobile staging requirements such as technical crew, set-up and tear down personnel for your event, our production crew & professional sales staff will work with you to ensure your event runs smoothly from beginning to end. 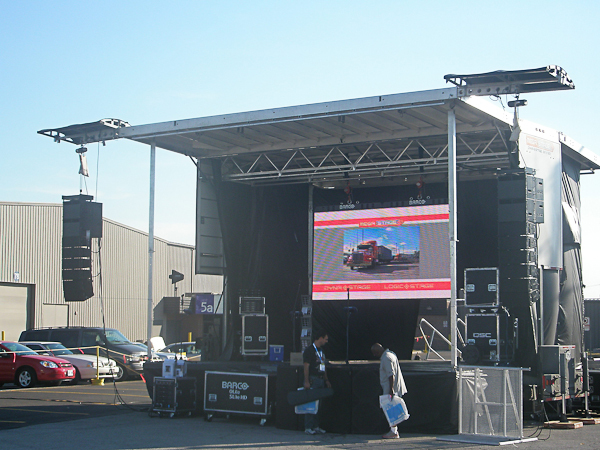 Please contact us to discuss your Mobile stage details, requirements or questions. 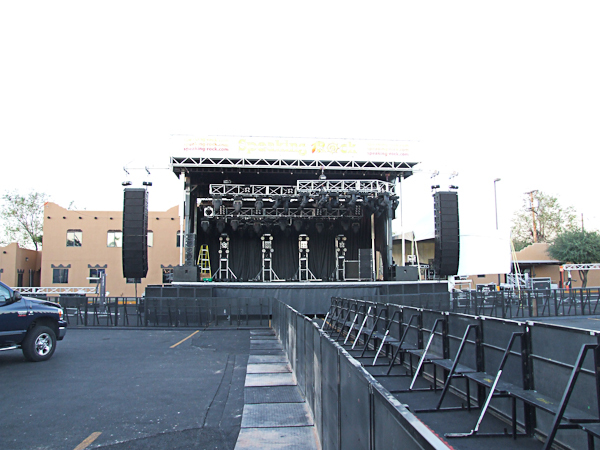 Send us an email / quote request to info@3lsound.com, or call us directly 1.800.567.7654. Someone will be in touch with you shortly. Trailer: Width 8' - 4 1/4" , Length 33' - 8 3/8", Height 12' - 4 1/2"
Stage Dimensions: 26' - 2" x 20' - 5"
Floor to ceiling distance: 17' - 0"
* Can be towed by a regular 2-ton pick up truck . * Issued with a fully retractable drawbar. * An optional fifth wheel attachment, collapsible and removable. no welding even after 10 years of use. * A cargo door allows easy access to the cargo area of 3 000 lb. 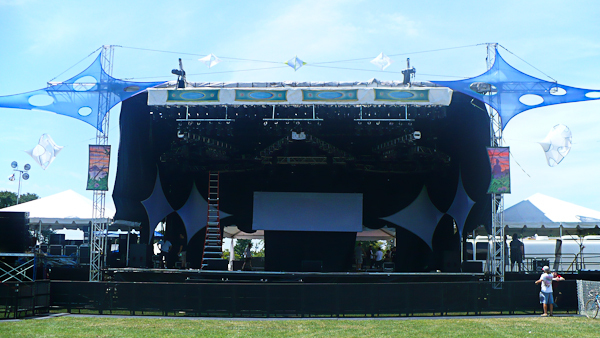 * All models install in an hour or less, using one certified operator and at most one stagehand. * Tool-less installation and operation. back-up and provides additional flexibility. * Industry leading roof capacity: 4 158 lb to 10 000 lb with ability to raise roof fully loaded. structure. 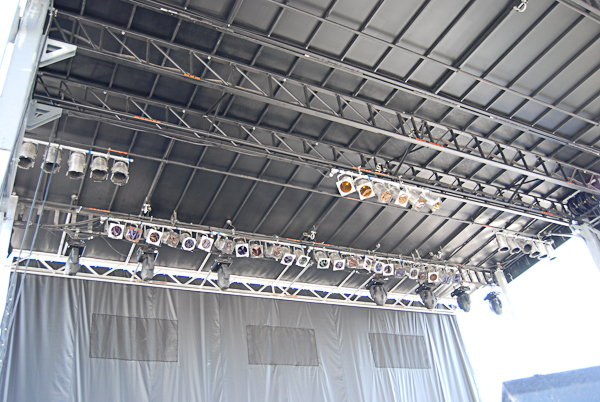 Optional canopies available for additional equipment protection. * Adjustable stowaway corner posts are equipped with swivel mounts and friction reducing pads. 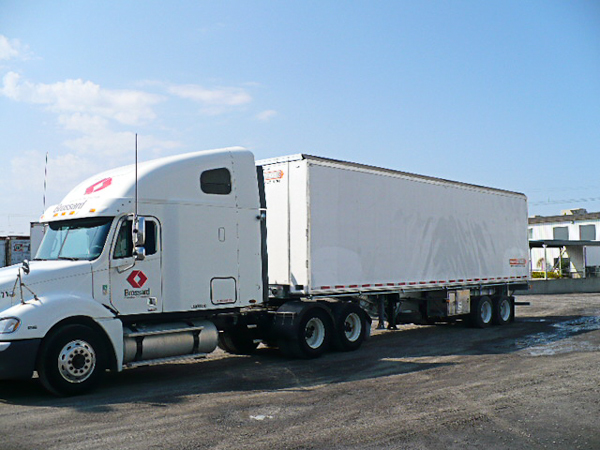 Trailer: Width 8' - 0" , Length 44' - 6", Height 13' - 1"
Stage Dimensions: 32' - 0" x 24' - 4"
* Towed by a regular tractor-trailer truck. * Tool-less installation and operation. No moving parts. * Better design to conform to show business needs and demands. * Roof load capacity: 30 000 lb, and 40 000 lb with upgradable kit. system or installment of heavy-duty roof extensions. * Depending on the rigging point sound wings are capable of loads from 2 200 lb up to 4 000 lb. Sliding in/out sound wings. 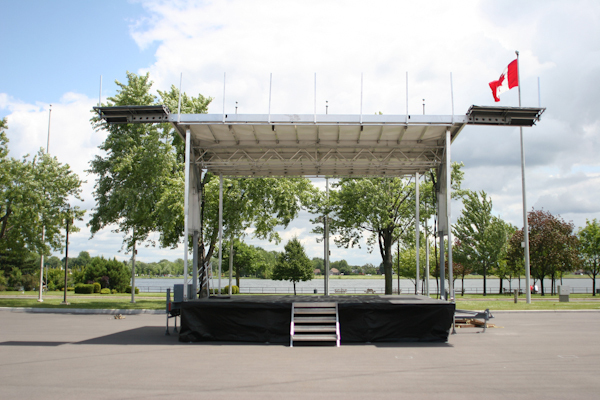 Optional canopies are available for additional equipment protection. * New FOH supports with 750 lb load capacity. 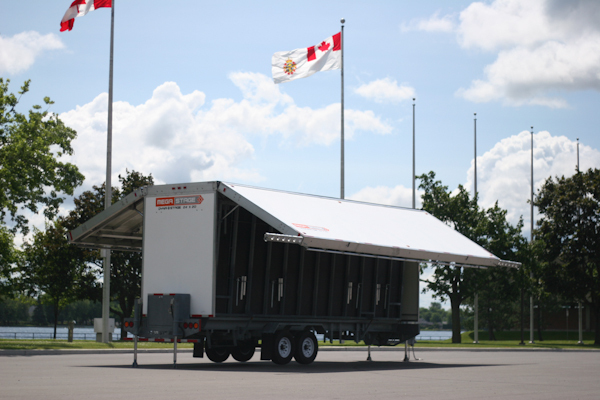 Trailer: Width 8' - 6" , Length 53' - 0", Height 13' - 6"
Stage Dimensions: 50' - 0" x 40' - 0"
Floor to ceiling distance: 27' - 0"